The Perfect Speaker Wire for Institutional and Home Theater Use. This 16 AWG / 2 Conductor Cable Features CL 3R / CMR Rating (Riser), RoHS Compliant, UL Listed and 75 Degree. Bright White PVC with a Rip Cord and Sequential Footage Surface Print Makes Long Run Installation a Snap. Oxygen Free means it will resist Oxidation and Last a very Long Time. 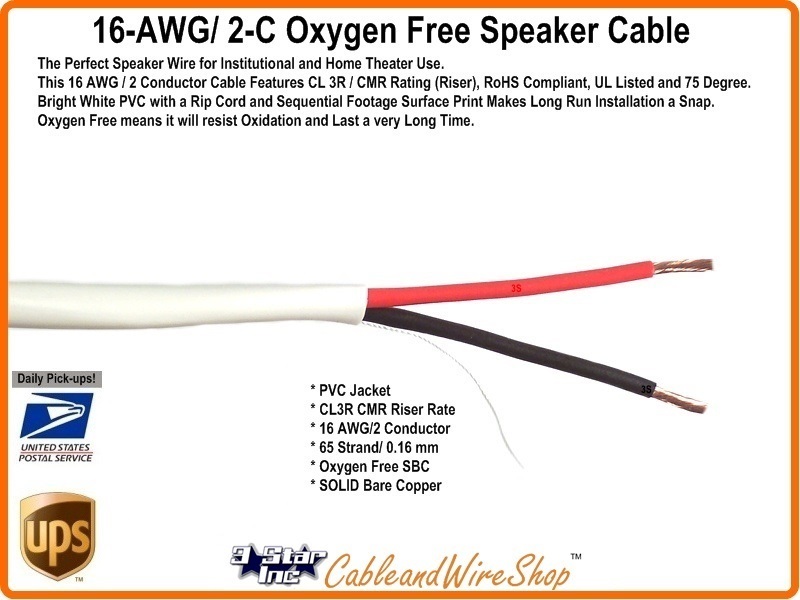 Note: Oxygen Free means you can install with confidence knowing that these Stranded Copper Conductors increase conductivity while lowering heat dissapation and resist tarnishing and aging for a lifetime of use!